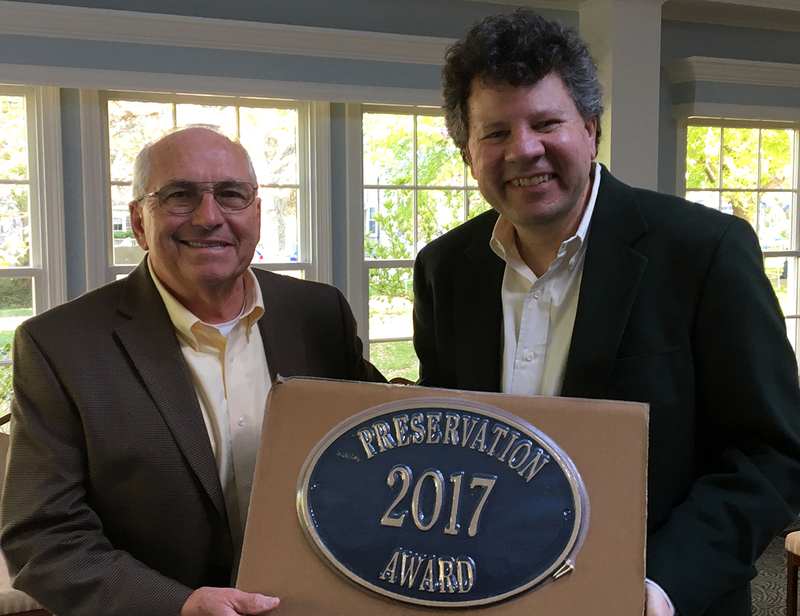 The firm has have been awarded with two 2017 Chatham Preservation Awards for their work on Hamblin House and The Bluffs. The two recognitions were given out on Sunday, May 21st during the annual awards reception at the Chatham Wayside Inn. Launched in 2004, the Chatham Preservation Awards program aims to honor noteworthy efforts by local property owners, architects, builders and others to preserve and maintain historic residences and other important historic resources. Sponsored jointly by the Town of Chatham Historical Commission, the Town of Chatham Historic Business District Commission, and the Chatham Historical Society, the awards are presented annually to local projects for a broad range of preservation activities, including stabilization, rehabilitation, restoration and adaptive reuse of historic structures; sensitive additions and modernization; preservation of historic streetscapes; landscape preservation; and archaeology. Since their inception, eleven awards have been given to PSD projects. This year the two PSD homes recognized are Hamblin House and The Bluffs. Originally built around 1900, Hamblin House is a large two-and- a-half story Queen Anne-style home located on the west side of Shore Road in Chatham. PSD’s work included restoring exterior details and deteriorating elements, and adding a sympathetic addition, all while maintaining the historic character of the grand home. The Bluffs is a classic Chatham seaside house that stretches out from a central Greek Revival core with wings and ells added over generations. Originally built in 1836, PSD was brought on board to add a porch and small addition, and to transform the interior, which was made up of small spaces connected by inefficient and confusing circulation, into a modified open living floor plan, without damaging the eccentric charm of the old house both inside and out.